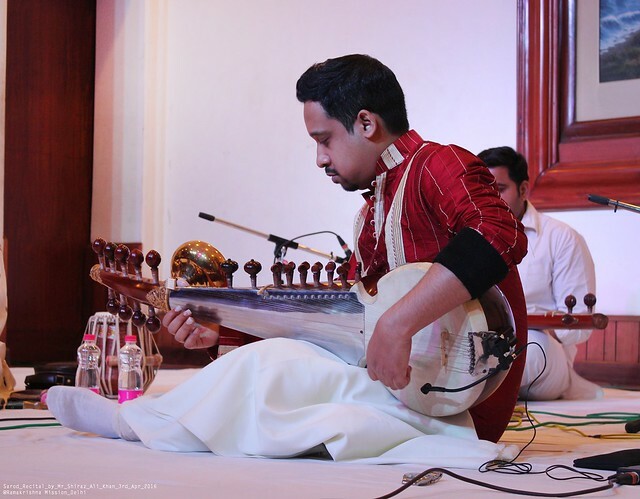 A classical Sarod Recital by a supremely talented young artist Mr.Shiraz Ali Khan, great grandson of Acharya Baba Allauddin Khan, grandson of Ustad Ali Akbar Khan, grand nephew of Smt. 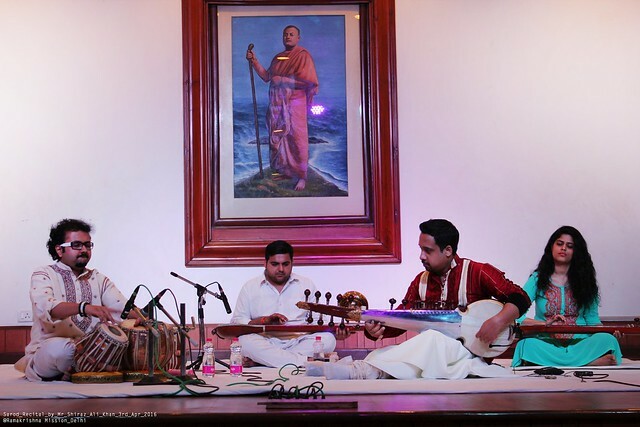 Annapurna Devi, son of Ustad Dhyanesh Khan, nephew of Ustad Ashish Khan and the list goes on….presented a delightful sarod recital at the Vivekananda Auditorium, Ramakrishna Mission, New Delhi on Sunday, 03 April, 2016. 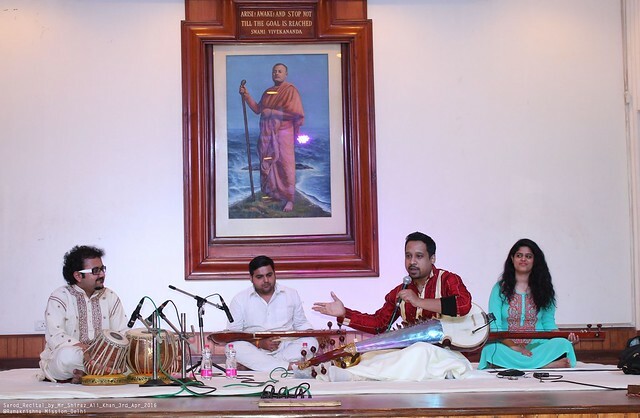 He began his concert with Alap, Jod and Jhala in the afternoon melody Bhimpalasi and went on to play two gat compositions in Raag Kirwani followed by Mishra Bhairavi, a Raag Mala (Pahari Jhinjhoti, Maanjh Khamaj, Mishra Mand etc) and ended his recital with a light devotional piece. 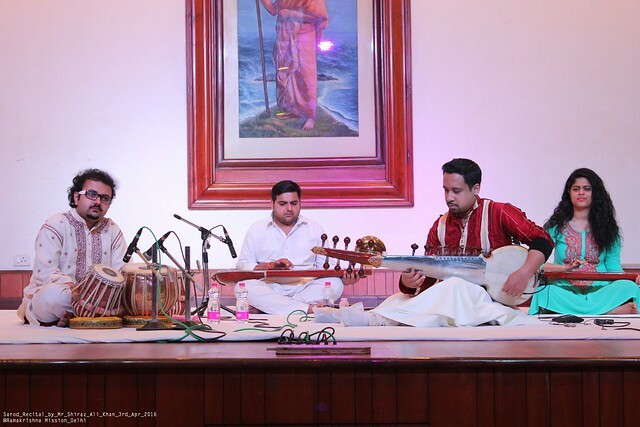 He was ably accompanied on the tabla by Shri Sourabh Goho, son of Harmonium Maestro Pt. Jyoti Goho and disciple of the tabla-wizard Late Pt. 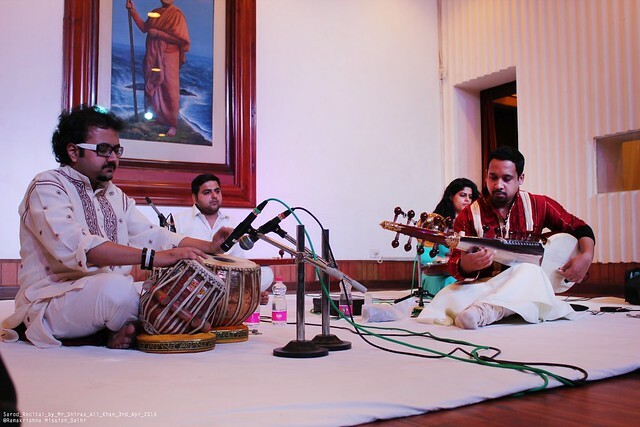 Shankar Ghosh and Maestro Pt. Bickram Ghosh. 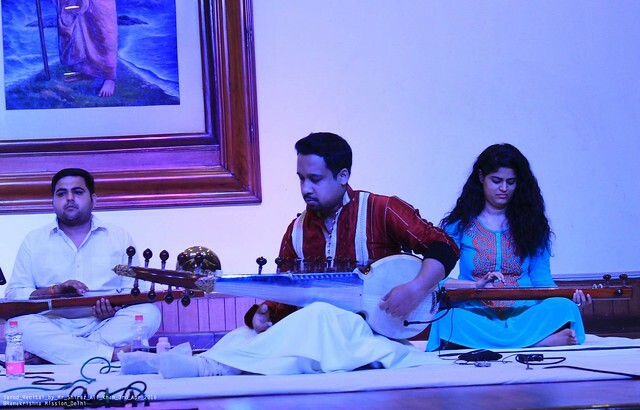 Incidentally, unlike others, Shiraz plays the sarod left handed just like his legendary great-grandfather Baba Allauddin Khan.